Crepe Delicious is expanding throughout the US as well as internationally. Serving sweet and savory crepes for breakfast, lunch and dinner, Crepe Delicious is a healthy, fresh, and nutritious food option. Learn more about how you can become the next Crepe Delicious owner. Get Free Info On Starting This Business! Crepe Delicious is the largest and fastest-growing creperie and gelateria. Specializing in the creation of world-class sweet and savoury crepes, we take pride in being a leader in the trend toward healthier eating. 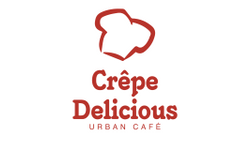 Serving breakfast, lunch, dinner and dessert, Crepe Delicious offers fresh, nutritious, and tasty food for people. All of our crepes and food items are made-to-order with only the finest and freshest ingredients. Our premium gelato is a perfect compliment to the specialty crepe business. All gelato creations are handcrafted on-site daily with natural ingredients. Our unique concepts combine comparatively low food costs with excellent site selection to provide franchisees with the recipe for success. Crepe Delicious is expanding! Not just a few stores here and there but a comprehensive expansion plan to develop our national presence through out the United States as well as international markets. Ensuring the success of our Crepe Delicious franchisees is an utmost priority. We consider you to be part of our family and therefore take every effort to help you establish, manage, and grow your business.